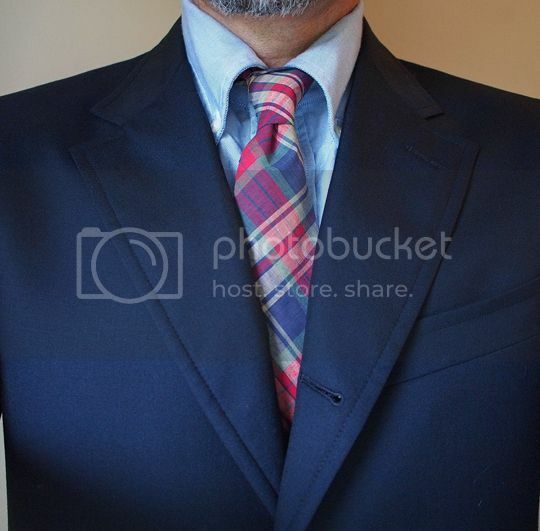 After a brief conversation with the TNSIL style guru, Mr. Billax himself, he brought up a good point that the current Madras Monday idea might be better served in its own thread rather than a component of WAYWT. 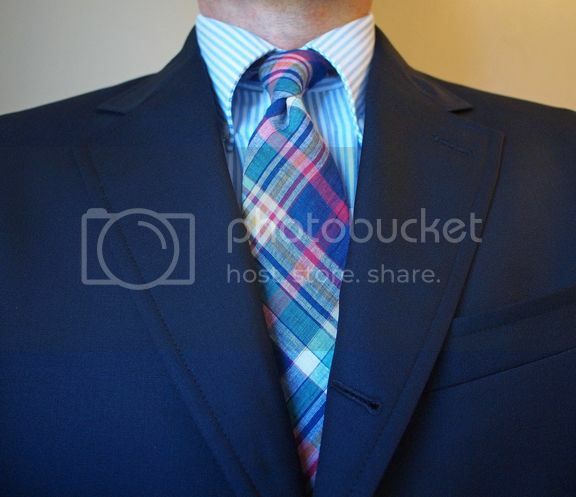 This thread doesn’t have to be examples of madras worn strictly on Mondays, it can be instances anytime, anywhere. However, if you just happen to wear it on a Monday that’s even better! A quick search of our forum’s threads on this wonderful summery fabric turned up some interesting material and conversation. However, like most old threads, their brilliance has been reduced by the likes of Photobucket and other image hosting sites who restrict their users content. 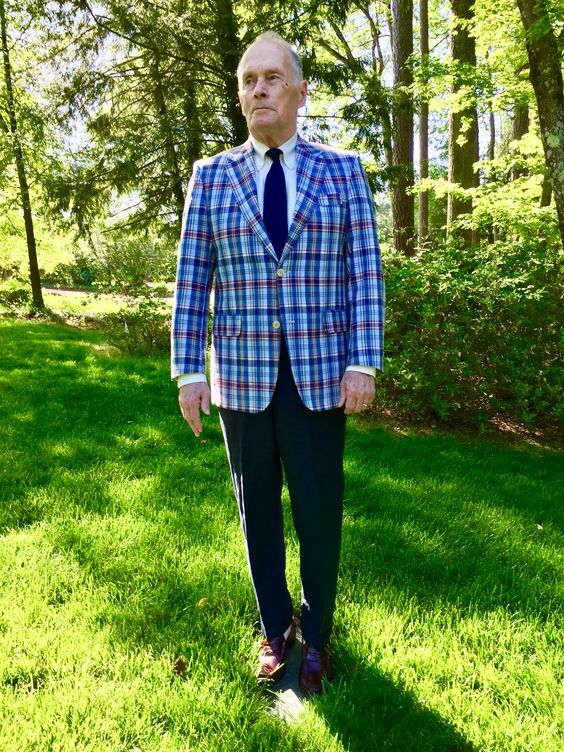 So, Jordan if you’ll humor me while I create another one, I hope we can build a more current conversation and celebration of this incredible staple of classic menswear. Last edited by LeeLo on Mon May 07, 2018 11:46 am, edited 1 time in total. Thanks for starting this thread, LeeLo. 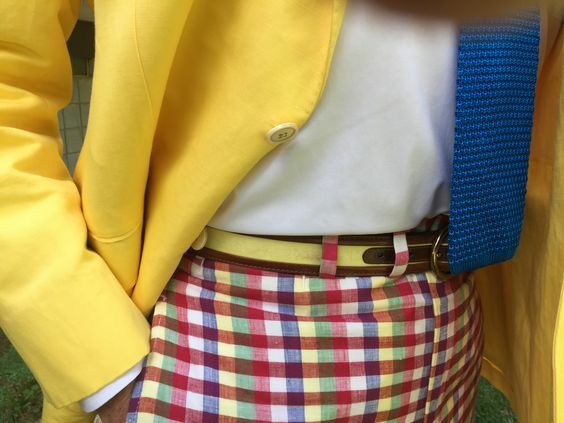 I'm guessing we'll see some fabulous Madras outfits from the membership! 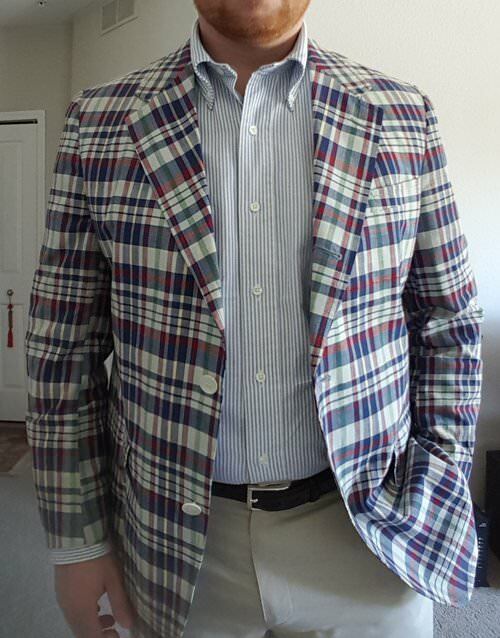 O'Connell's Silk 3/2 sport coat in a narrow herringbone pattern, J. 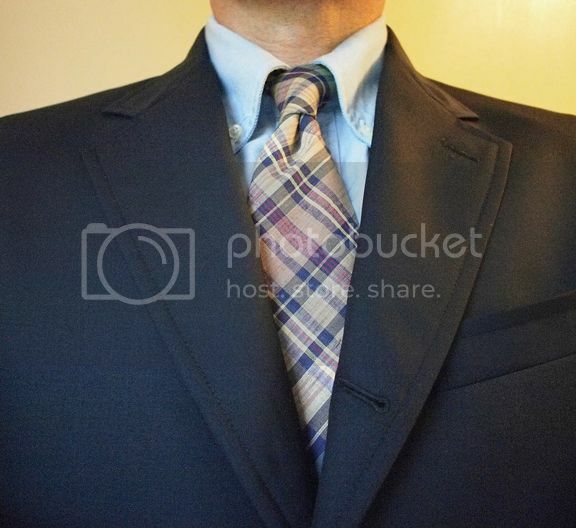 Press York Street patchwork Madras vest, Tie Bar Navy Knit tie, Brooks OCBD, LL Bean Navy Surcingle belt, Lands' End Linen trou, J. Crew striped OTC socks, AE Chromexcel Beef Roll loafers in some indescribable shade of Blue. It is a "no dupe" day, as every item comes from a different vendor. J. 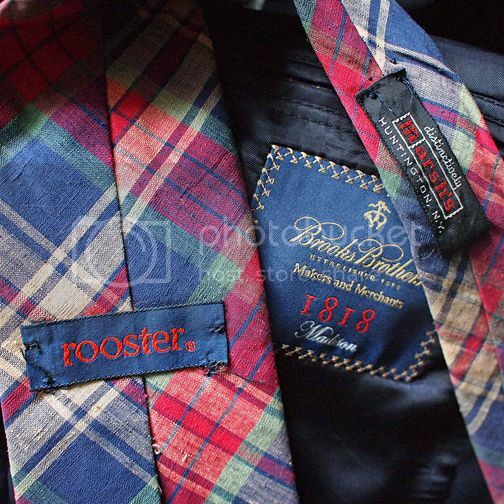 Press 3/2 roll, Madras sports jacket with BB OCBD, and Lacrosse tie given to me by my friend, 44 Blue. 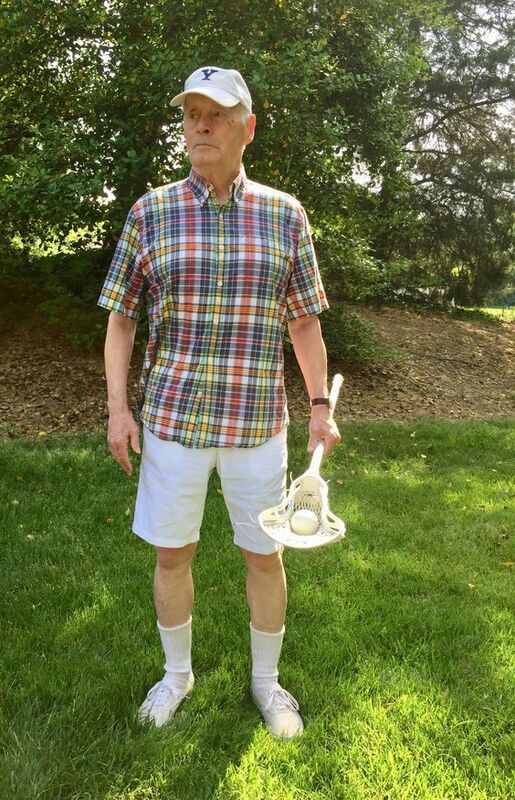 LE Linen trousers, Lacrosse belt, Marcoliani light blue OTC socks, and Polo RL Saddle shoes. Man, you guys aren't messing around when it comes to madras Thank you for improving upon the idea, Billax! That patchwork vest is awesome. And I like the pastel color scheme of your rig, Gamma! All J. 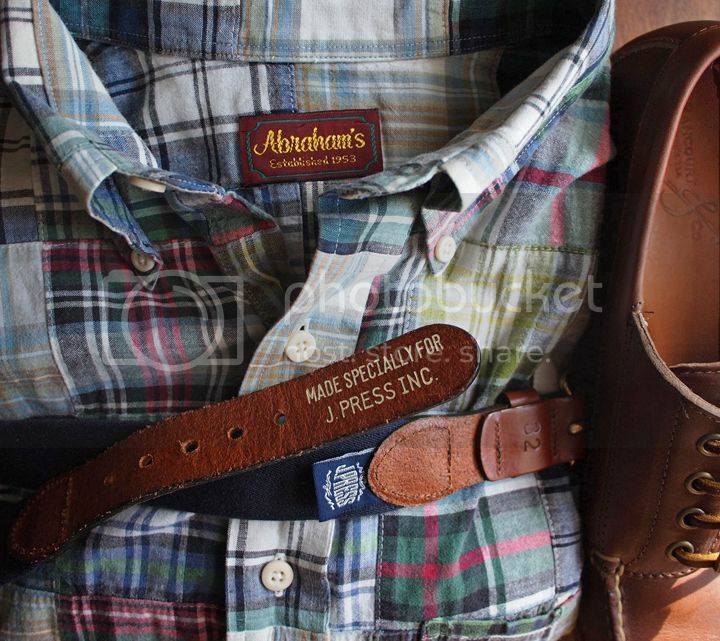 Press save for AE Shell Cordovan Penny loafers. 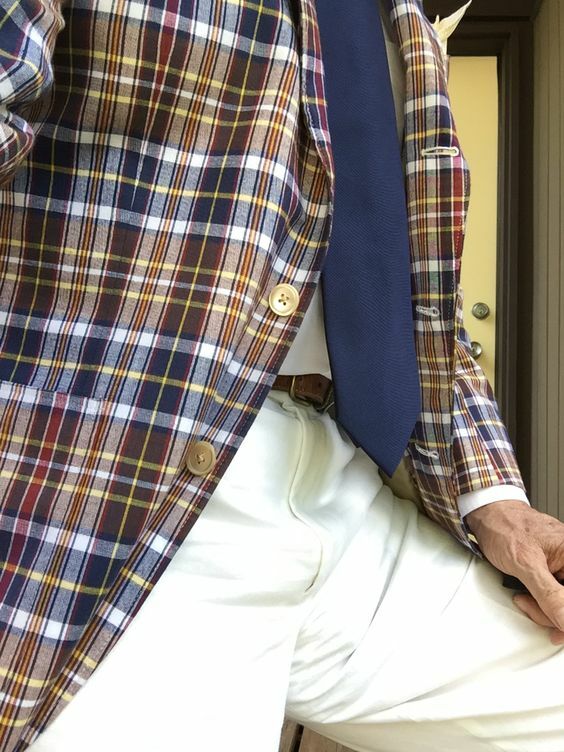 Madras 3/2 roll jacket, Linen trousers. Last edited by Billax on Mon May 07, 2018 4:01 pm, edited 1 time in total. 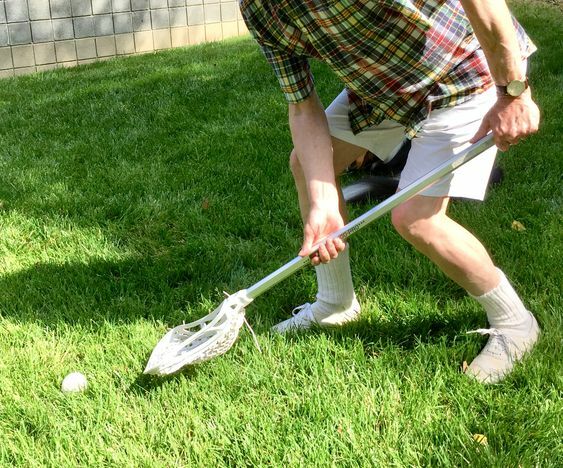 When I was 60, my then 8 year old son become enamored of Lacrosse. Though I knew nothing about the game but its name, I read dozens of books, watched hundreds of NCAA DI videos, and practiced throwing & catching against a concrete wall by myself for three hours a day – after work until absolute darkness. He became my only pupil. Yep, that's a boat-neck letter sweater, just like they all used to be. 4 year Letterman, 3 time Ivy League Tournament Champions... he had a good run. 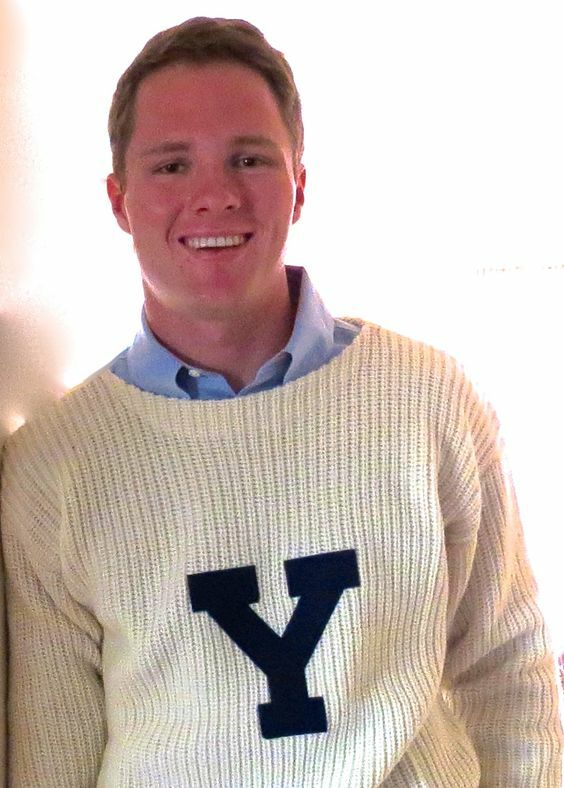 But, upon graduation, he traded in his lax stick for Investment Banking. He stayed busy, but I didn't. Recently, I spotted an eight-year-old boy with a Lacrosse stick who lives across the street from me. To make a long story shot, I have a new pupil! Here I am practicing up... 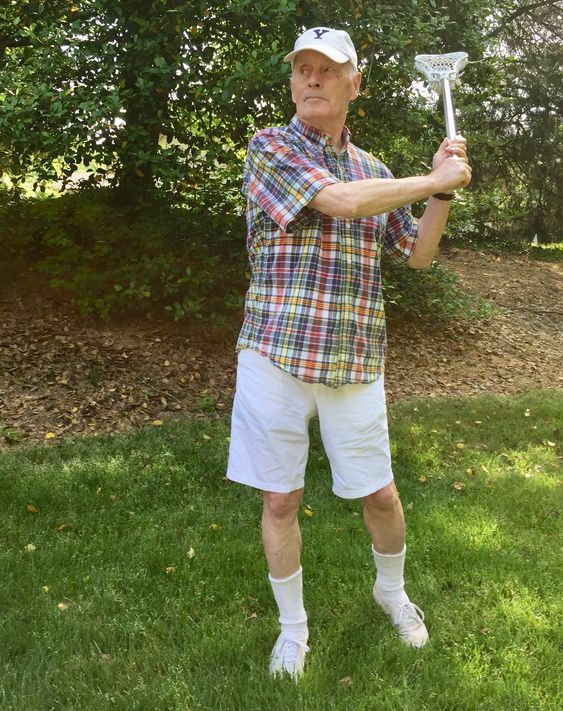 I'm 76 years old now, so I can only keep up with beginners! He's gonna be a good one someday... if he keeps practicing! Here I am, practicing... to stay better than my fast learner! 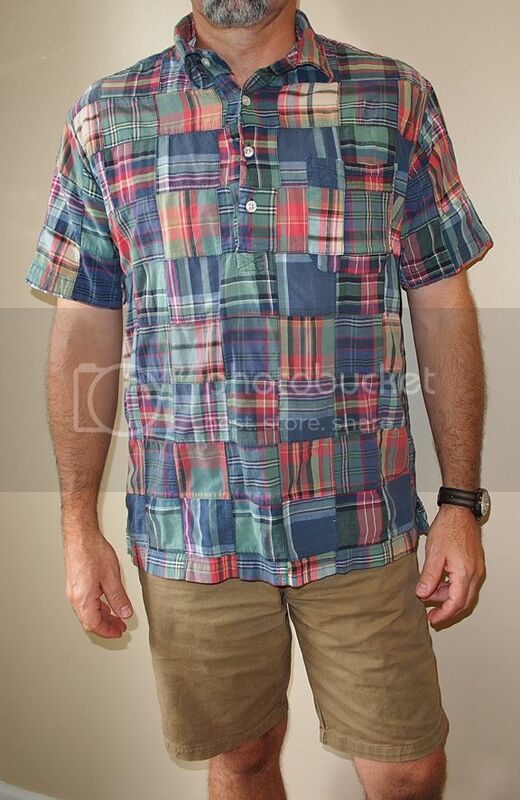 Oh, the Madras short-sleeved shirt is from Brooks Brothers. Last edited by Billax on Mon May 07, 2018 11:59 pm, edited 4 times in total. VERY nice looking outfit, with an utterly spectacular setting! Last edited by Billax on Fri May 11, 2018 1:06 pm, edited 1 time in total. Another picture from last year. 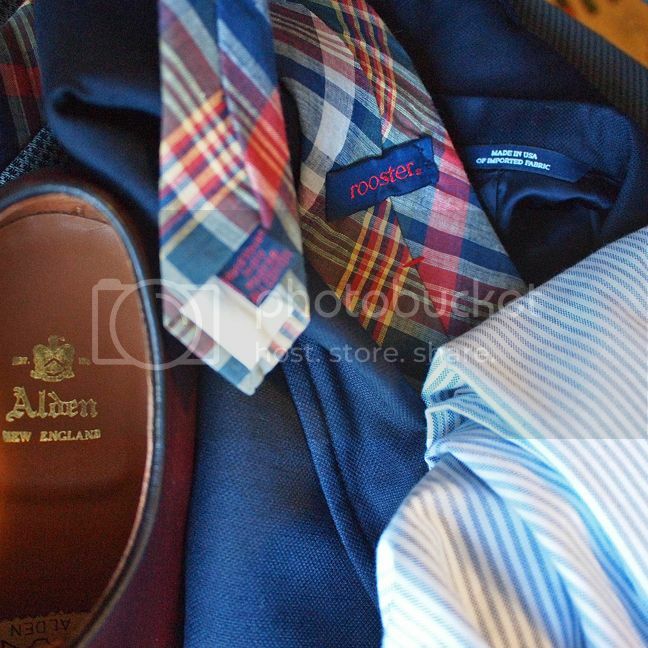 All Brooks Brothers.